It was so much more than a booth at the fair. Allen County, Ohio was once home to many Granges, getting started here in the late 1800s. Also called the Order of Patrons of Husbandry, the local groups were units of the National Grange, which began in 1867. A small group of men came together after the Civil War to unite people to improve the position of the nation's farmers. Women were included as full members from the start. The Grange was part politics and part social from its beginnings. “Every township in Allen County has a Farmer's Grange, and many have their own buildings erected to hold their meetings in,” a Jan. 14, 1875, newspaper reported. The next year, a news item reported that three local men were elected delegates to the state Grange, W.K. Wathing, H.D. Creps and W.E. Grubb. “Instead of the plodding methods of olden times, your order has made farming a science. The intelligence of the farmer has made necessary all the modern improvements as made applicable to your calling,” a Dec. 12, 1888, newspaper story reported. The individual Grange units were led by the county-wide Pomona Grange, which had meetings and kept the organization moving in the correct direction — focusing on education, cooperative buying and selling and bettering the community. “It is needless to speak of the past history of Pomona Grange except that we have done many good things and been a great value to the farmers of the county, although we have been in a ‘slow' or ‘happy-go-easy' condition for the past year, yet not very serious. But a glorious future is before us. We believe we have found the ‘right man for the right place' in the person of S.W. Weaver, of Spencerville, our county deputy. He is a successful farmer and an enthusiastic Granger,” an Oct. 26, 1905, story reported. Meetings continued. Meetings of the time featured musical performances and debates on something at hand. In 1909, there was a debate on differing tax rates. “Brother farmer, is it possible that you and your family could be of any benefit to your neighbors, and they in return benefit you? Think it over. The Grange is intended to be a means for enabling the members to help themselves,” an April 1, 1909, column reported. Also that year, Grangers organized an effort for a new building at the fairgrounds dedicated to farming exhibits. “The Grange building will be one of the centers of attraction, and every farmer and every one interested in farming should keep it in mind to make a call at this building during the fair,” an April 29, 1909, story reported. At this time, the Grange organizations had consolidated into six units: Jackson, Auglaize, Jennings (Spencer Township), Marion, Perry Center and Shawnee. They pitched in to prepare for the state convention, held in Lima in 1913. The local Granges continued through the Depression — some with quite a struggle — but a new burst of activity hit in the 1950s. County-wide Rural Life Sunday events were planned, and a new Shawnee Grange building project started. The Shawnee Grange sponsored a Hillbilly Womanless Wedding — a popular fundraising event at the time that featured an all-male cast. This cast, made of members of Cridersville Methodist Church, called themselves the Shawnee Shimmering Sugars. The new Shawnee Grange was on Fort Amanda Road, and was dedicated in 1952 by its 350 members. 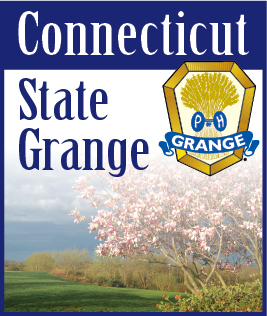 The Grange won a state community service contest and was up for a national award. It ended up winning third place, with a cash prize of $2,000. In 1952, there were 13 Allen County Granges with more than 2,000 members. But as the years passed, Granges became less important to the coming generations. In 2003, Spencerville and Shawnee — the last two Allen County Granges — closed.